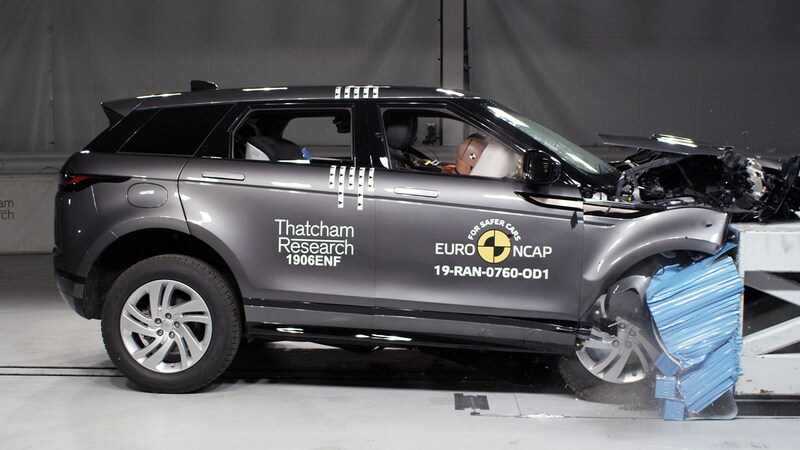 The new 2019 Range Rover Evoque has won a solid five-star performance in its Euro NCAP crash test rating. It's just won a 94% adult occupant protection and 87% child occupant score, just in time for UK sales to kick off. 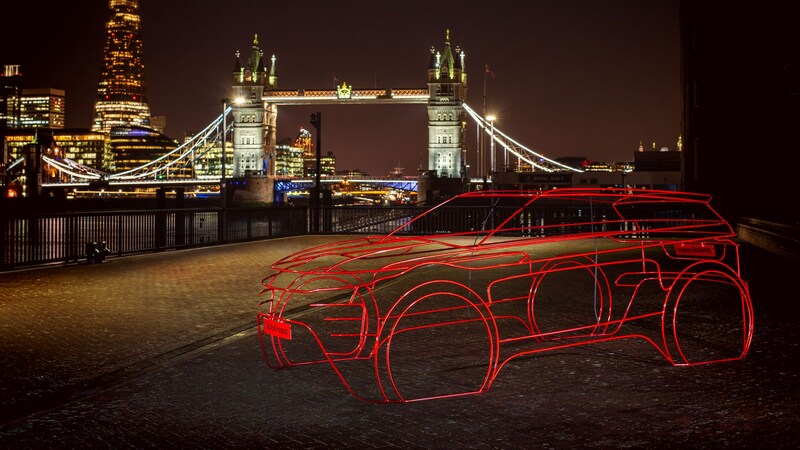 Land Rover might look like it’s playing it safe with the new Range Rover Evoque but it’s understandable – the first-generation was a smash hit in the sales charts, selling more than 750,000 units since 2011. The outgoing Evoque even stretched the whole Land Rover brand into the compact premium SUV space. On many levels it’s been a marketeer’s dream, drawing influencers such as Victoria Beckham into the fold and reaching new - often female and urban - buyers as a consequence. 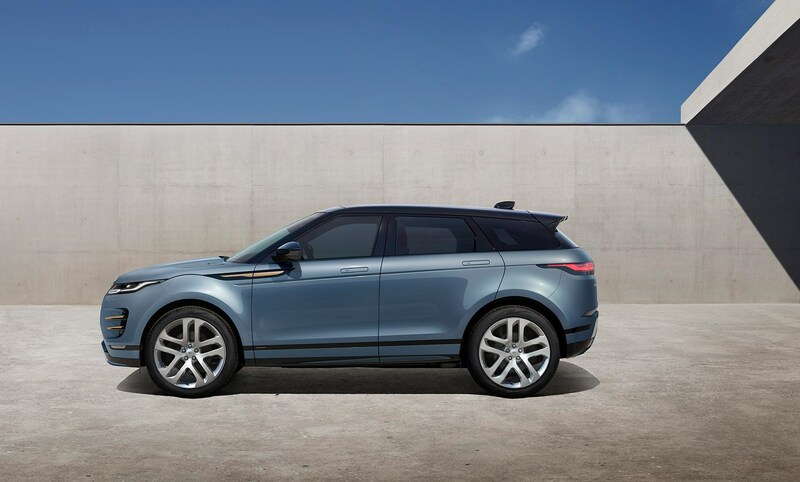 The fresh 2019 aesthetic is marked by flush, pop-out door handles, styling ‘epaulettes’ extending the indicator repeaters, the punctuation of cooling vents peppering the new Evoque's bonnet and nose. It imbues a fresh fizz to the original design - whose squat stance and angled roofline hark back to the innovative LRX concept car of 2008. How influential that concept car proved to be. 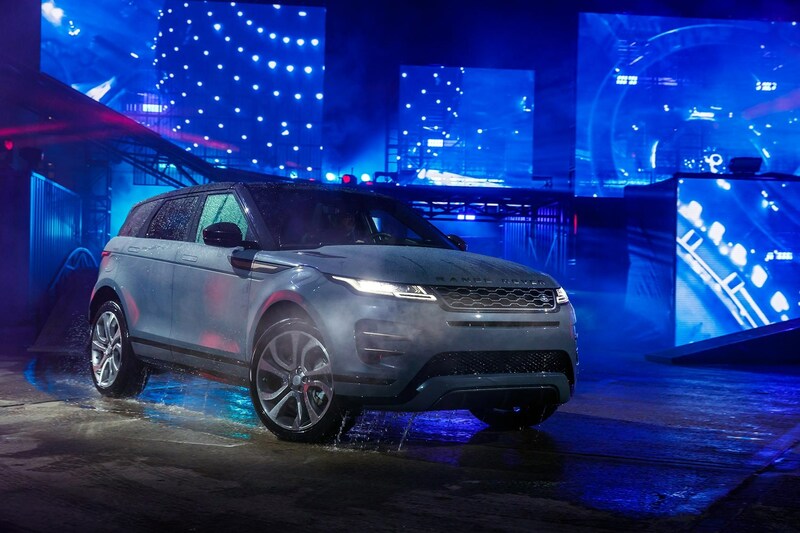 The 2019 Evoque is based on the new Premium Transverse Architecture, a major update of the ageing C/D steel matrix dating back to Ford ownership; there’s no aluminium trickery here, give or take a modest amount of lightweight materials used at certain pinch points in the platform. Budgets simply don’t cover exotic materials at this price point, confirmed to kick off at £31,600 in the UK when sales start in spring 2019. The new platform is ready for electrification, with 48v mild hybrids and plug-ins coming soon after; CO2 drops to 143g/km on the cleanest Evoque. Engineering planners are adamant that all Land Rover products maintain proper off-road ability, so all-wheel drive is standard on most models (complete with locking rear diff and Terrain Response 2), while two-wheel drive models will quickly join the range, in a bid to cut CO2 and thirst for fuel. Driveline Disconnect switches four-wheel drive versions from 2wd to 4wd in less than 400 milliseconds, providing grip where it is needed and frugality when miserliness takes priority. 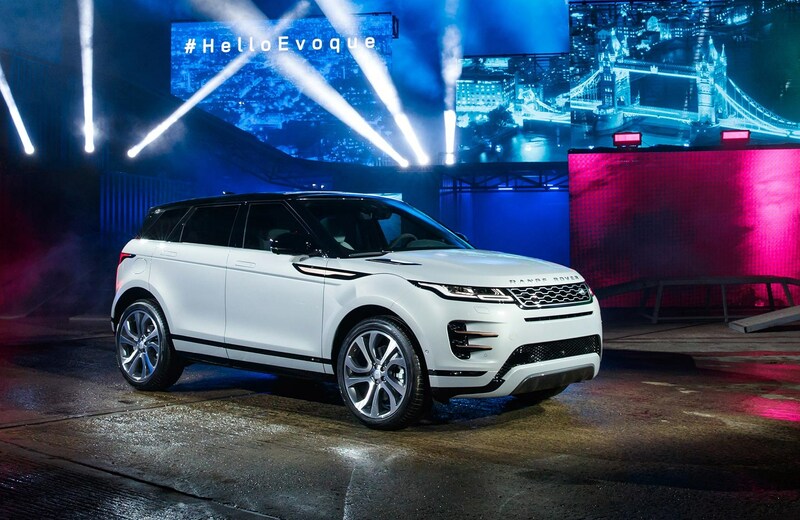 The new transmission is one example of how much the platform has been upgraded for 2019 Evoque. Wheels of up to 21 inches in diameter are available. 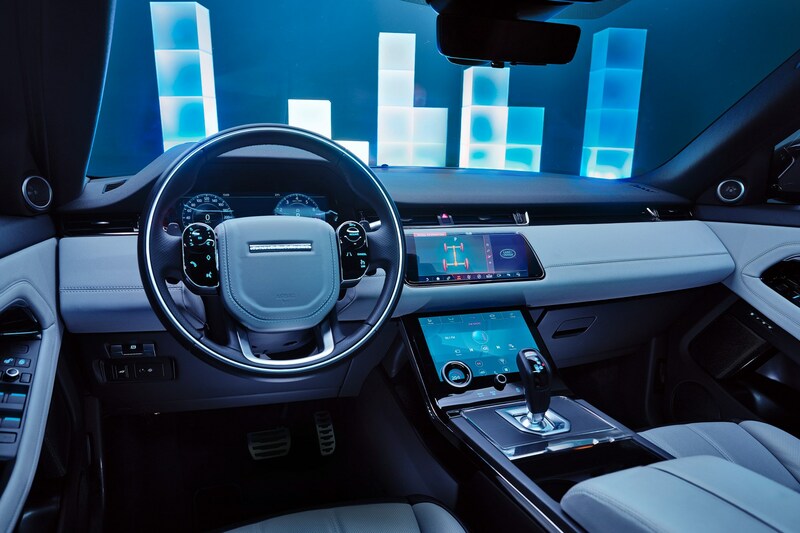 Inside is bang on trend with JLR's latest tech: digital screens replace most conventional switchgear with Touch Pro Duo like on Velar, there's an emphasis on high-quality materials such as wool seat fabric and electronic gadgets aplenty, which will either be a huge draw for the tech-obsessed or a worry for reliability doubters. 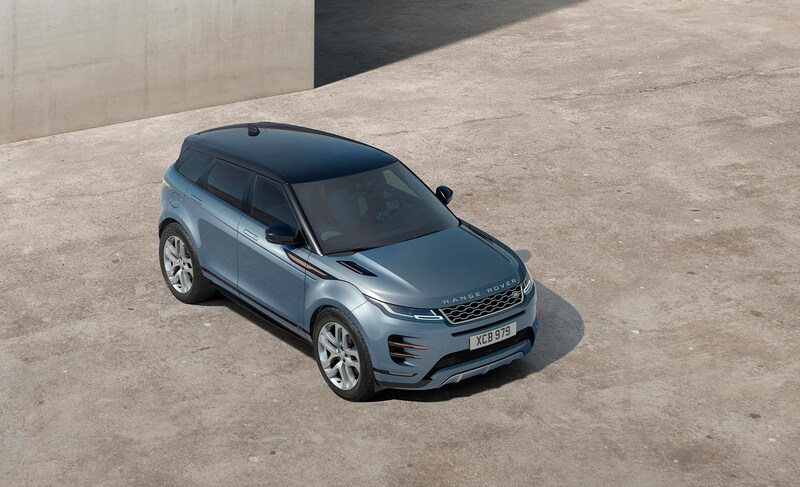 The hard-top Evoques arrive first, as shown in our first pictures of the roomy five-door SUV, but CAR magazine can confirm that an Evoque convertible with a soft-top is part of the product plan. Might be anathema to some European tastes, but it’s sold enough in other quarters to warrant its place in the showroom. The three-door coupe style is quietly being dropped. 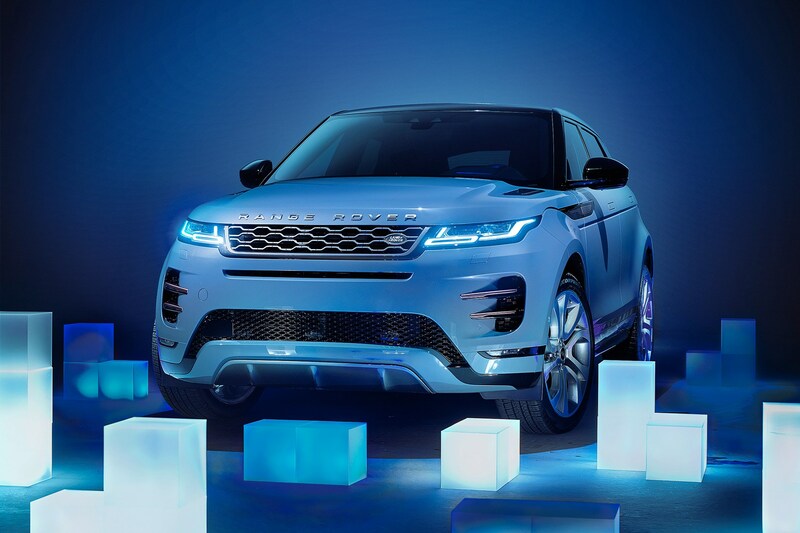 Buyers can choose from a plug-in hybrid (PHEV) Range Rover Evoque, complete with a 11kWh lithium-ion battery mounted under the floor; it feeds an 80kW motor driving the rear wheels and juggles power from electric and the new 1.5-litre three-cylinder iteration of the Ingenium engine, as extreme downsizing exerts its influence. That’s why the brand’s badges have moved the emphasis from capacity to power, remember? We had a very quick go in a 48v mild hybrid version of the Evoque. The stop-start system works seamlessly and smoothly at low speeds in the petrol version we drove - even at the crawl we were limited to, there's a definite lift in throttle response when the engine awakes and lag is all but eliminated on this first experience. The engine cuts out at 11mph when you cruise to a halt, saving fuel all the while. Torque is shuffled from front to rear automatically, and from side to side at the rear axle too. This torque vectoring is said to cut understeer and allow greater traction in slippery off-road conditions. New McPherson front struts and multi-link rear suspension are claimed to be more compact and refined than the outgoing hardware - the better for ride comfort, noise, vibration and harshness (NVH) control and sharper handling to boot. 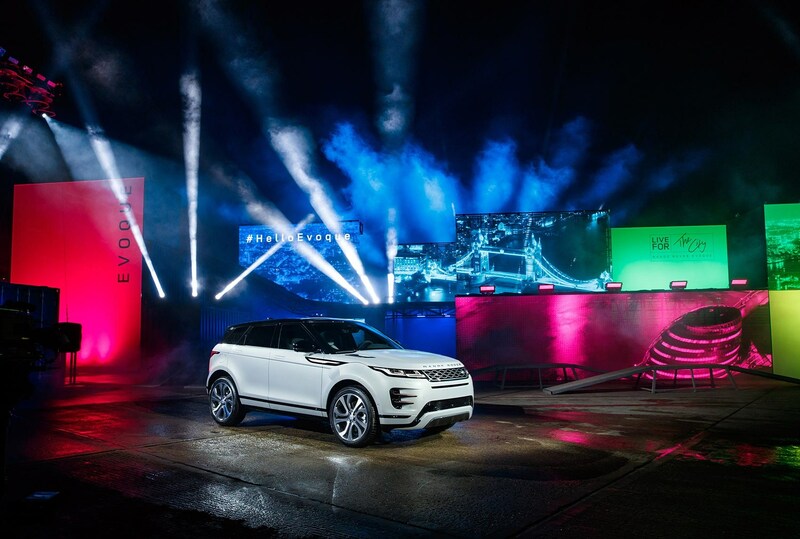 ‘We needed an all-new architecture, Premium Transverse Architecture [PTA], developed to support hybrids from the outset [the first Evoque had no hybrid capability],’ explains engineer Peter Simkin. ‘The only carry-over parts are the door hinges and two brackets. With the new mid-floor section for the batteries, it’s a new body-in-white.’ It’s claimed the new structure comprises 90.1 per cent new parts by volume, and Evoque’s a five-door only – at least for now. Largely mild steel, PTA deploys high-strength steel in key elements of its floorpan and ultra-high-strength steel in the A-pillars and floor spars. 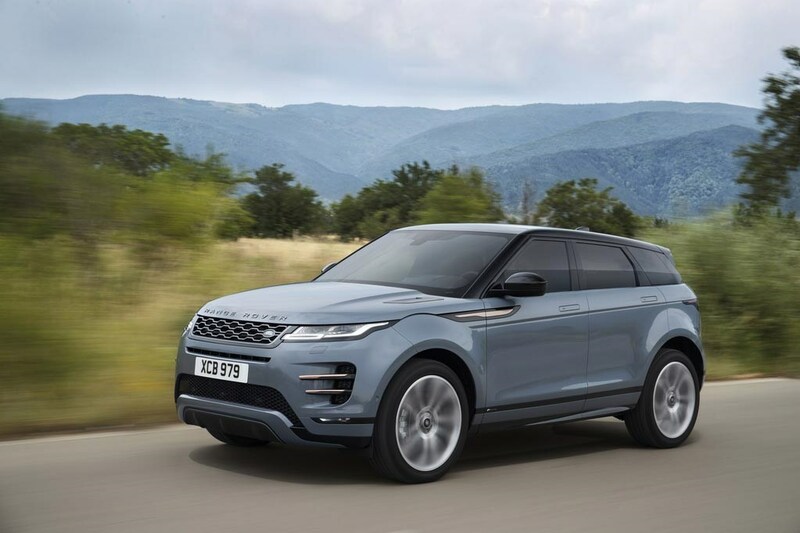 Torsional rigidity is improved and this, coupled with the new Evoque’s stiffer suspension mounts, gives both increased refinement and the promise of taut and responsive driving dynamics. With hybridisation comes engines endlessly chiming in and cutting out, an NVH challenge. 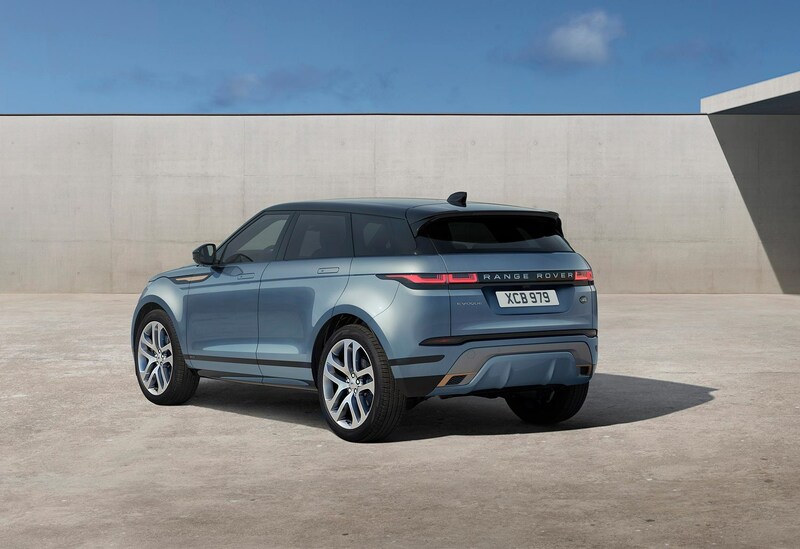 ‘We’re fundamentally transverse-engined, for compactness, but on the first Evoque the rotational axis of the engine was not well aligned with the engine mounts – we’ve redesigned those mounts, so start-up doesn’t thump into the cabin,’ says Simkin. 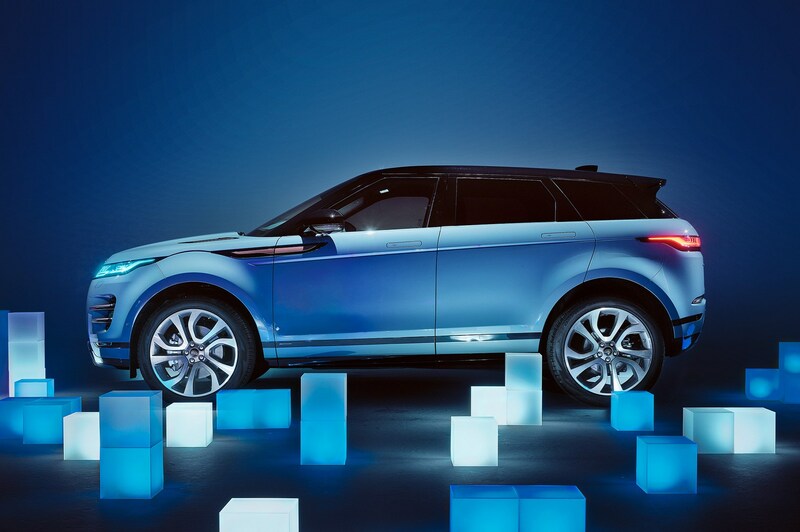 Will there be a pure electric Range Rover Evoque too? Not any time soon. Land Rover is developing a secret plan to electrify the new Defender workhorse, a project insiders suggest could be seen by 2024. 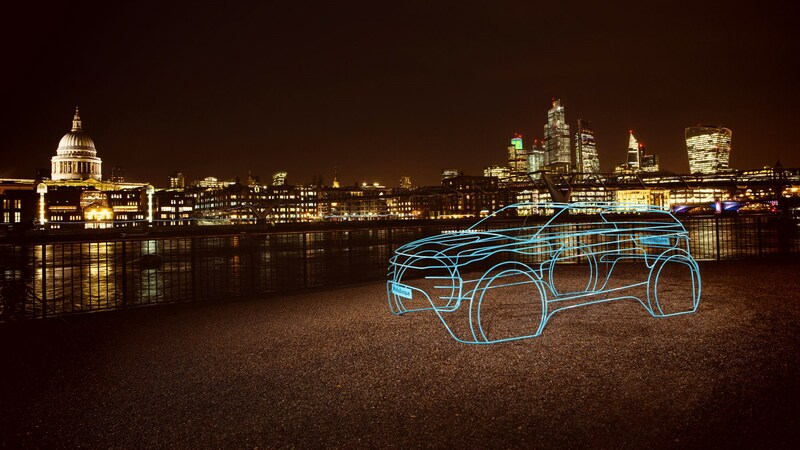 Battery-powered cars are coming, but we doubt the Evoque will be the pioneer of this tech. 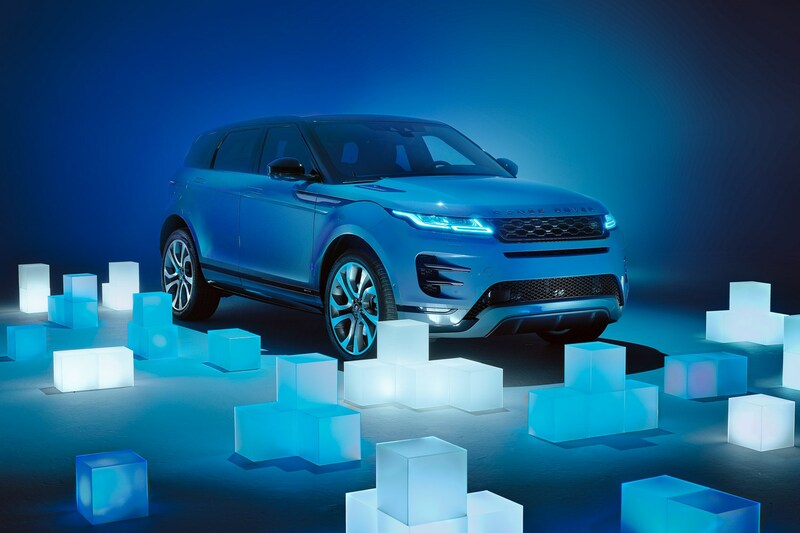 Expect to see electric Land Rovers underpinned by a new generation of architectures, known internally as MTA and MLA, short for modular transverse and longitudinal architecture. 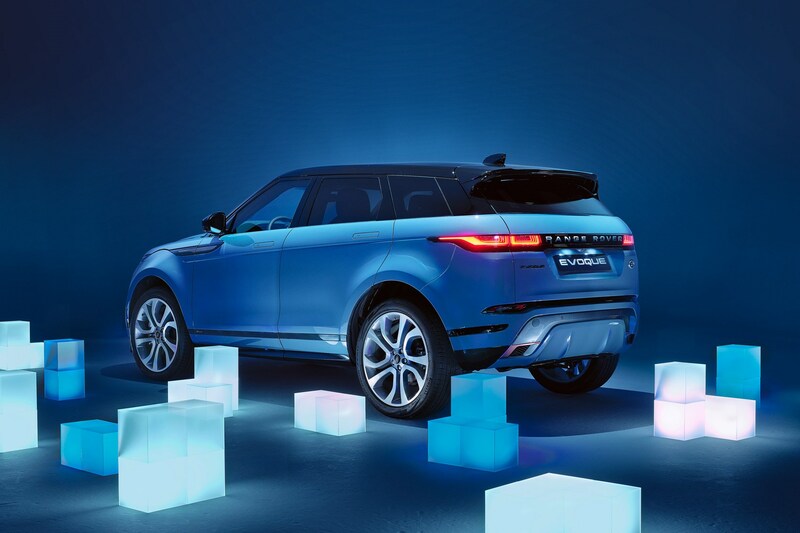 This tech tour de force will eventually replace all Land Rover models, including the top-end PLA aluminium platform serving the Range Rover/Sport/Velar range-toppers. It's roomier too: we've sat in the back at the world debut in London and can report that rear space in particular is markedly better. It's now a genuine four-seater family car. Quality feels good, too - it's a step up from the outgoing Evoque Mk1. Boot space is 10% larger than before, at 591 litres with the rear seats up. There are two rows of seats (you'll have to switch to a three-row Land Rover Discovery Sport for seven seats) and the loadbay swells to 1383 litres with the back chairs flopped forward. Two common criticisms of the first Evoque were appalling rear visibility and a claustrophobic second row. The latter persists, though rear-seat passengers get 20mm more legroom. 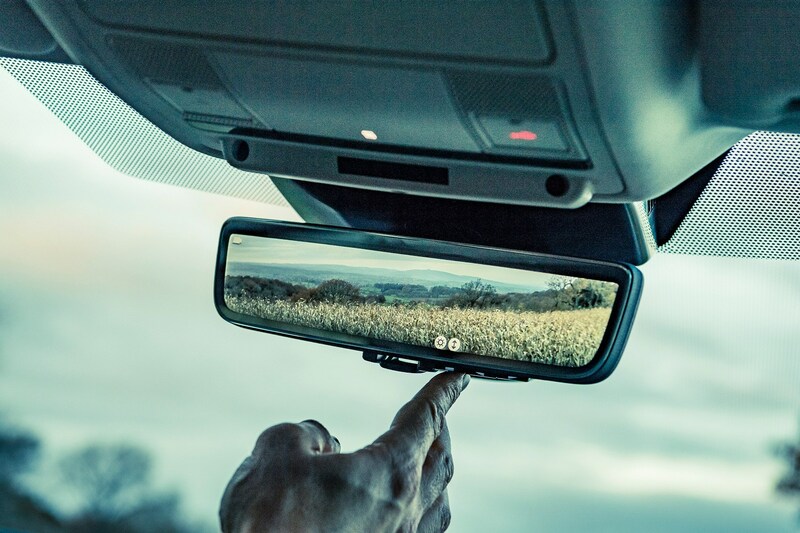 To an extent, that rear visibility issue’s been solved, if you can afford to spec the ClearSight rear-view mirror (standard only with HSE trim). 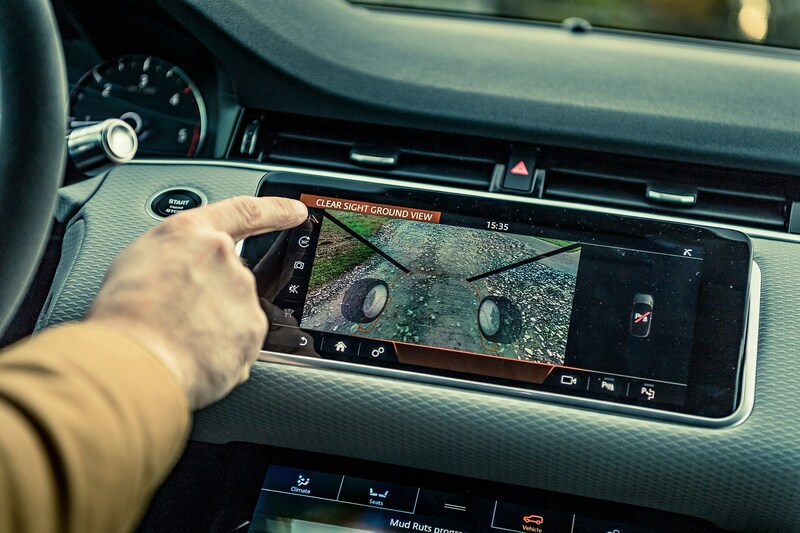 Turning around and reversing the Evoque still feels like trying to back up a Countach (albeit without the handy foot-wide sill to sit on), but glance at the mirror and you get a far more expansive view than you could hope to get through the rear screen. The ClearSight mirror links a high-definition camera in the shark’s fin on the roof with a 9.5-inch high-res screen where you’d expect a mirror. 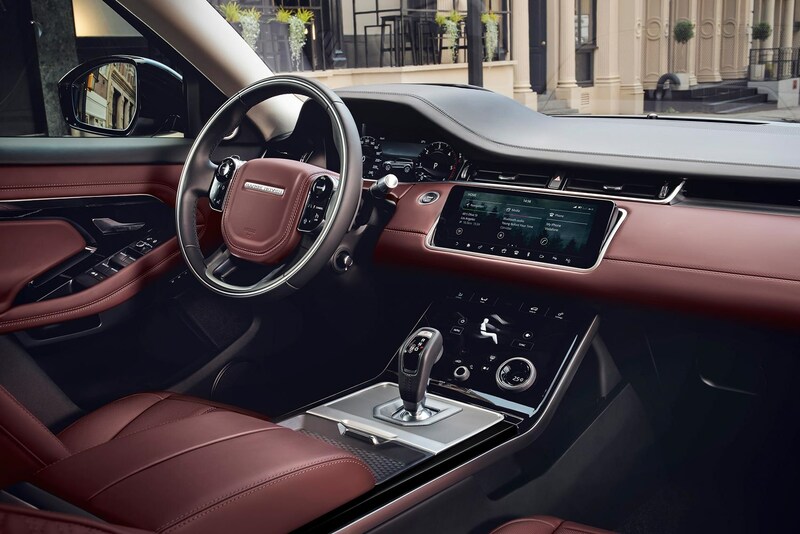 The result is a 50° field of view that persists whether you stack the rear seats with crates of Bollinger or Australian hitchhikers. ‘The feed can also play with light levels and depth of field to enhance visibility in difficult conditions, like fog,’ explains project leader Scott Higgins. 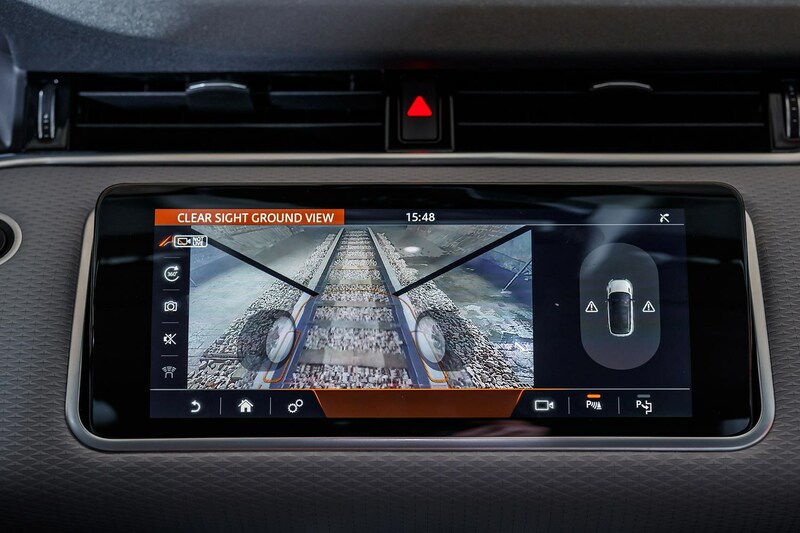 Bundle in ClearSight Ground View, a full-colour HUD, capacitive switchgear, the mild hybrid system, CarPlay and Android connectivity, and an adaptive cruise control capable of rolling even with stop-start traffic, and Evoque 2 backs up Land Rover’s assertion that this is its most progressive, tech-literate car yet. 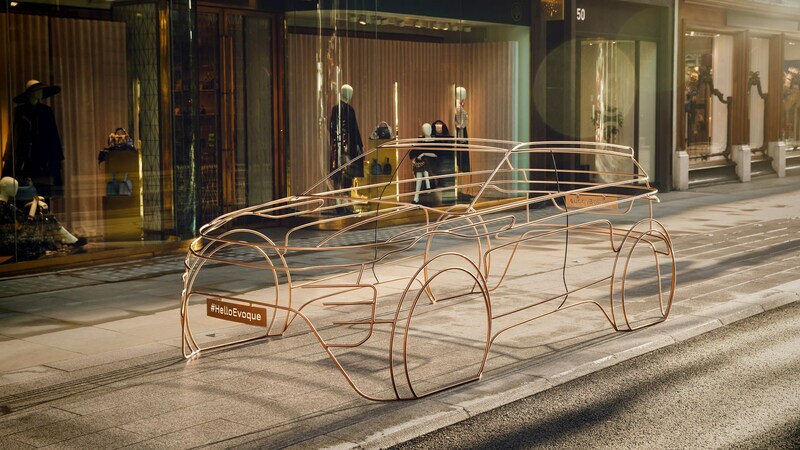 Land Rover warmed up London to the world debut by placing wireframe versions of the new car at four locations across Kensington and Chelsea – which is arguably where most of the new car’s target customers will be concentrated – and the installations actually gave some of the car's key design details away. 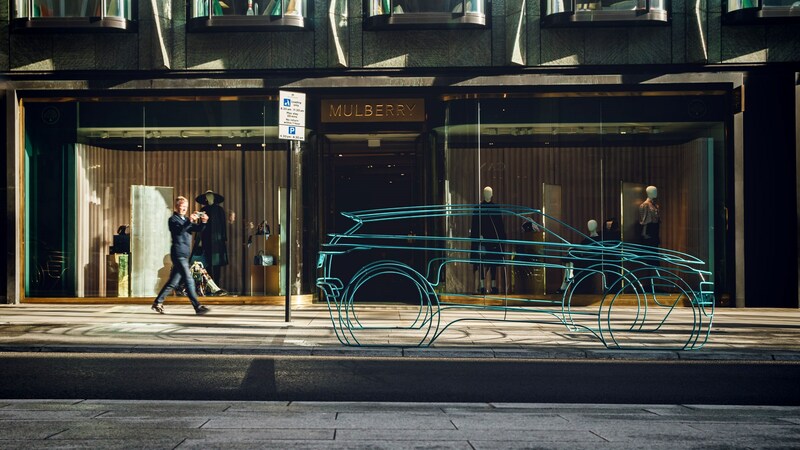 Regardless of its school-run connotations, the current Evoque has been a huge success for JLR in both design legacy and sales. With global sales of 750,000 and 217 awards under its belt, it’s little wonder that the original Evoque has gone on to help shape the rest of the Range Rover line-up. 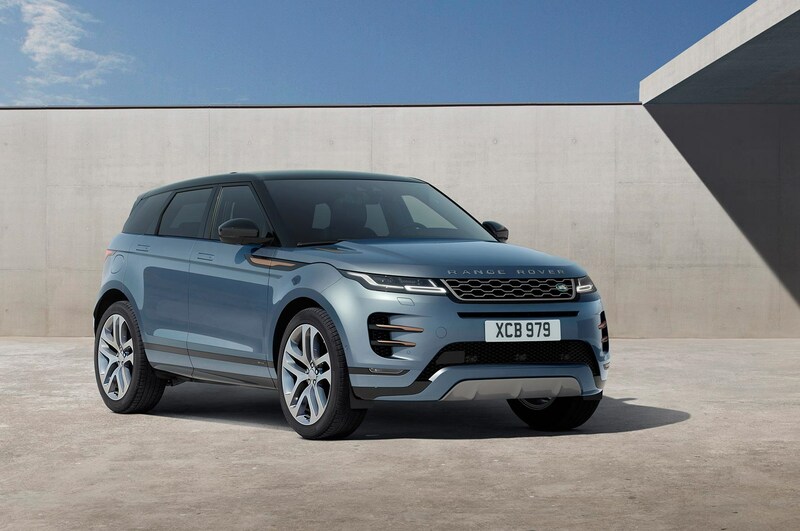 With that in mind, the new Evoque’s styling was always going to be more evolution than revolution. CAR lived with a Range Rover Evoque for a year; see our long-term test review here.